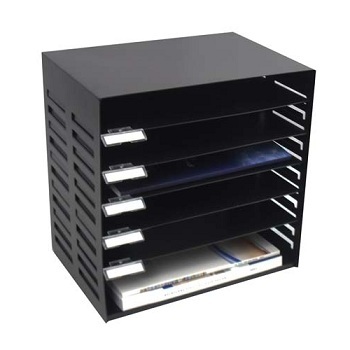 Stor A File® with 6 compartments which can be used to store files and binders or turned on its side to be used as shelves or pigeon holes. Suitable for both A4 and Foolscap size files. Australian made from 100% recycled board and is 100% recycled after use. Flat packed for easy assembly. 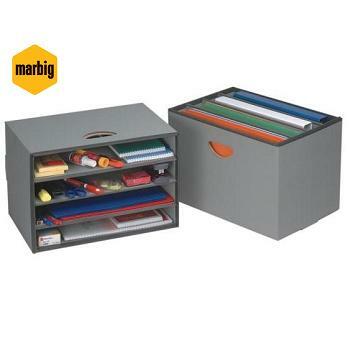 Complete with 3 drawers (1 large, 2 small) and 3 shelves for storing small items and papers. 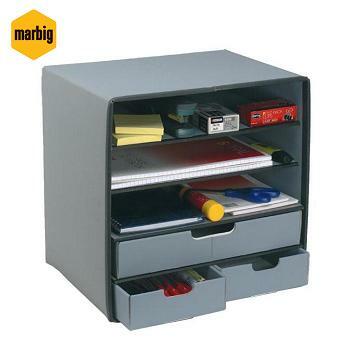 Keeps your desk neat and tidy. 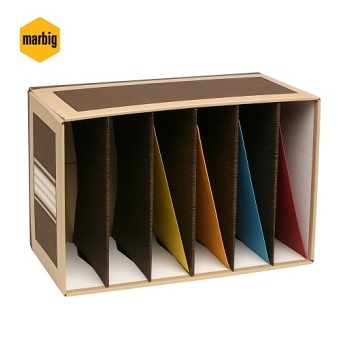 Australia made from 100% recycled board and is 100% recyclable. 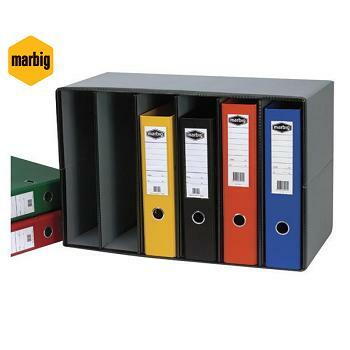 Handy multipurpose organiser can be used upright as a filing system or used vertically as shelving. Suitable for desktop use. Hand holds for easy carrying. 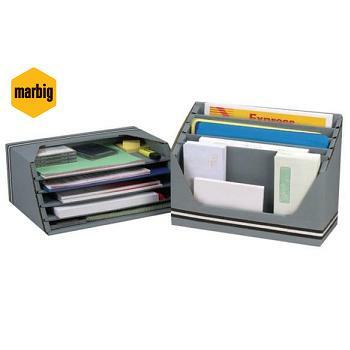 Keep papers and pamphlets organised. 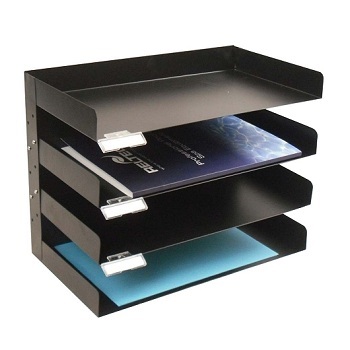 5 Compartments - Stands upright or flat on the desk for extra storage.